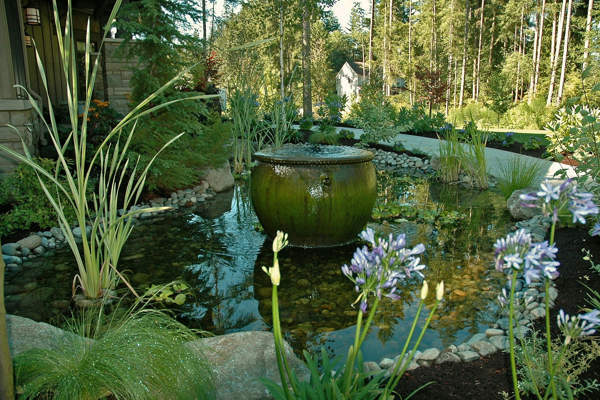 The ideal garden is not defined solely by the plants and flowers that grow in it. 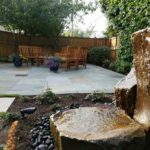 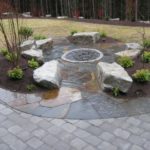 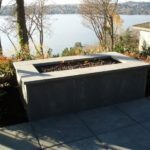 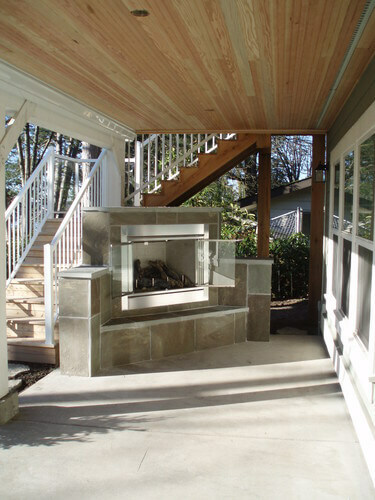 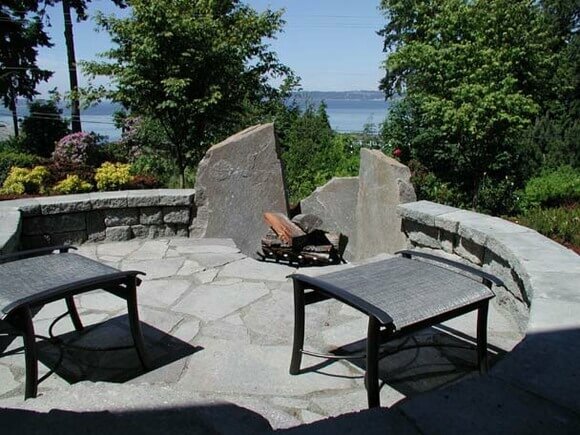 Other features of a garden or outdoor area – such as fountains, water features and fire pits – are essential elements of molding the space’s overall look and feel. 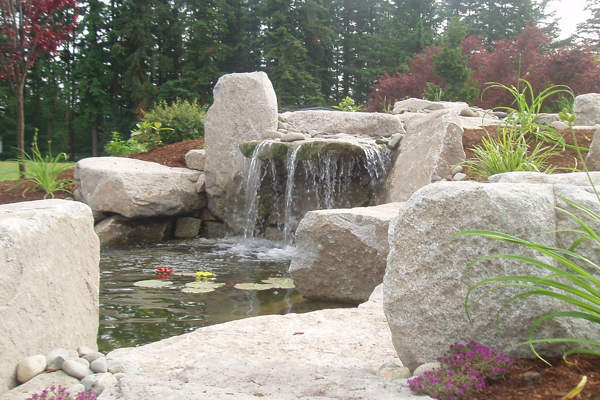 Many of our custom landscape designs incorporate one or more of these structures to great effect. 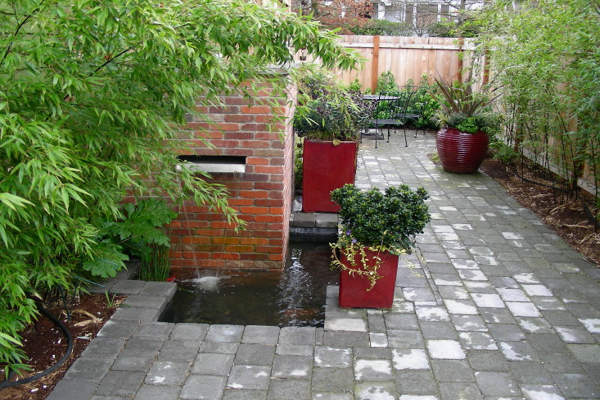 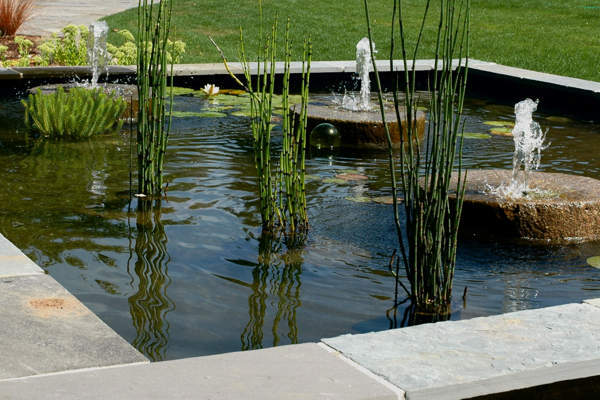 The sound of flowing water can make an outdoor space instantly seem more peaceful and tranquil. 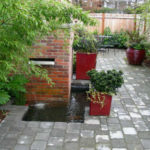 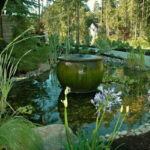 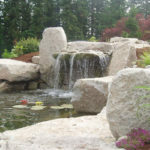 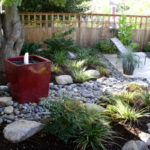 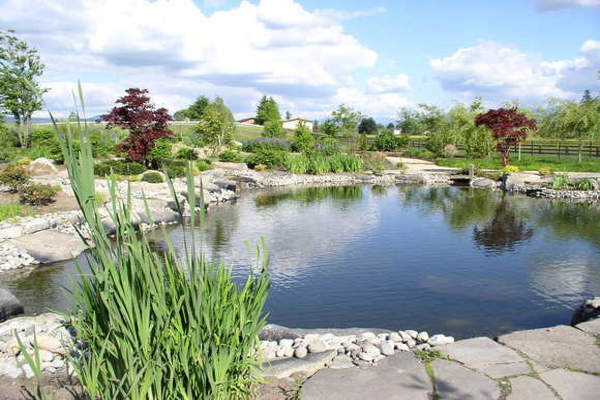 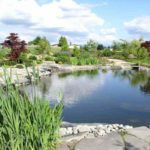 Our water features include fountains, artificial brooks or streams, koi ponds and others. 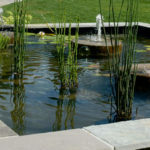 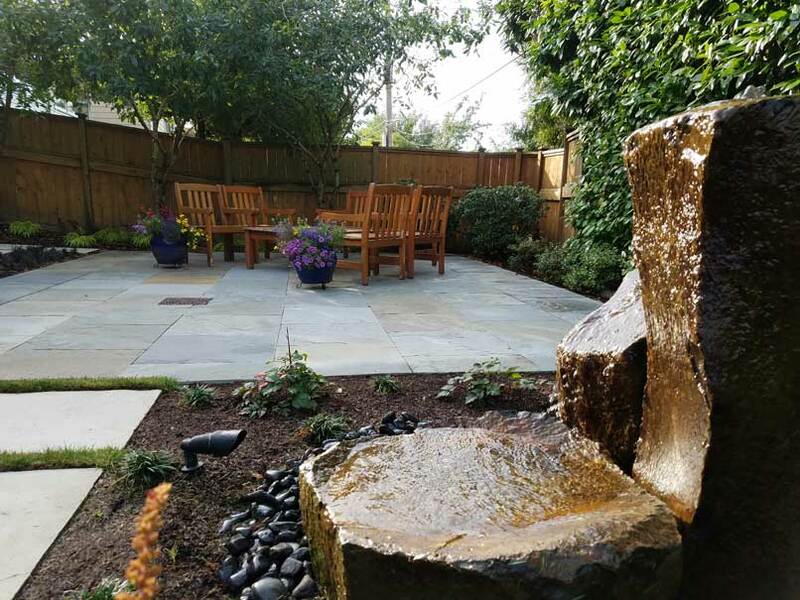 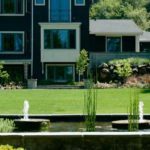 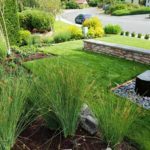 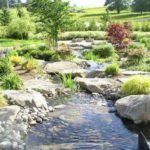 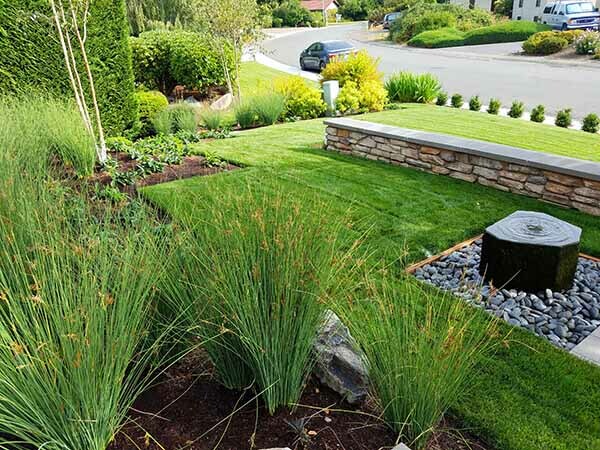 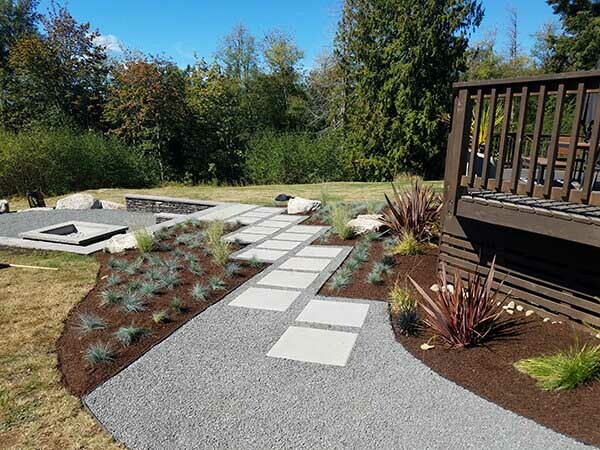 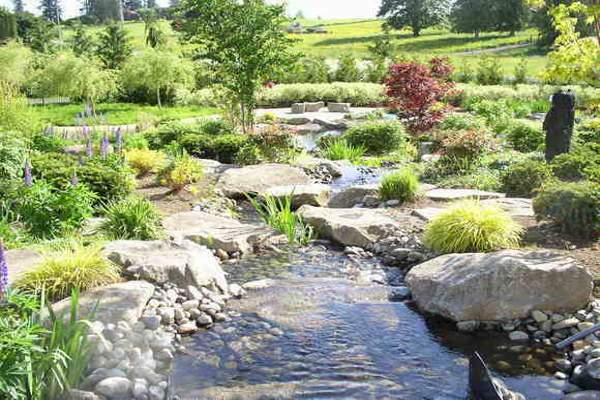 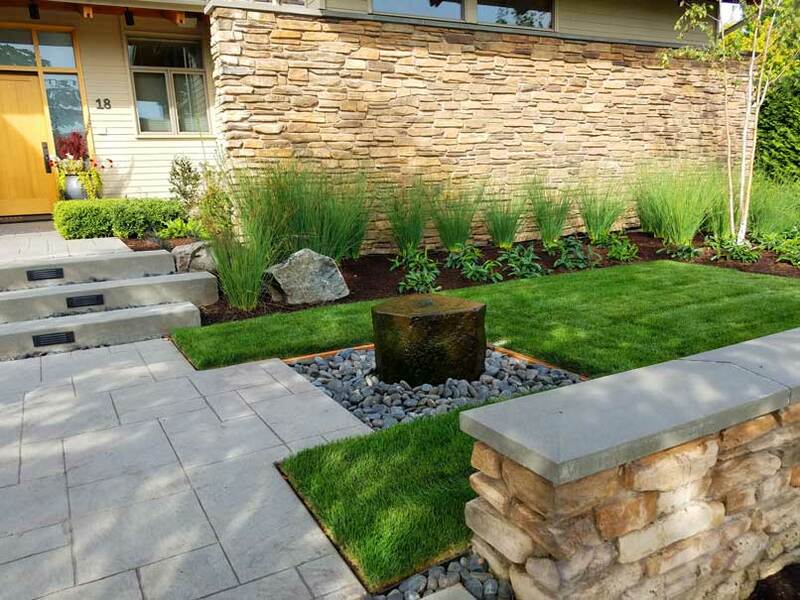 We can also work with existing water on your property, keeping the natural beauty of streams and pools of water by ensuring that it works seamlessly with your new custom landscape design. 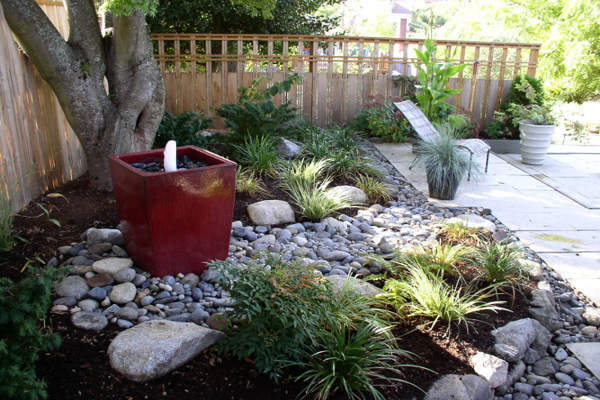 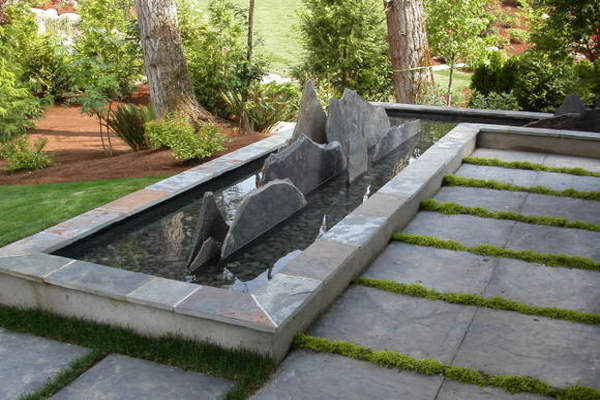 Water features are a unique touch that don’t have to take up a lot of space. 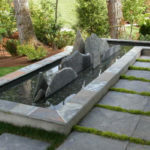 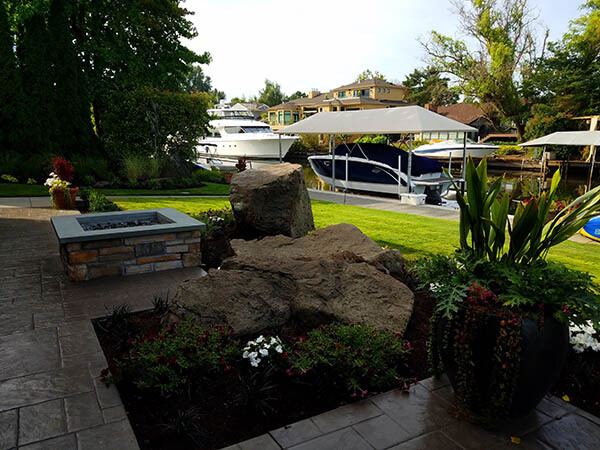 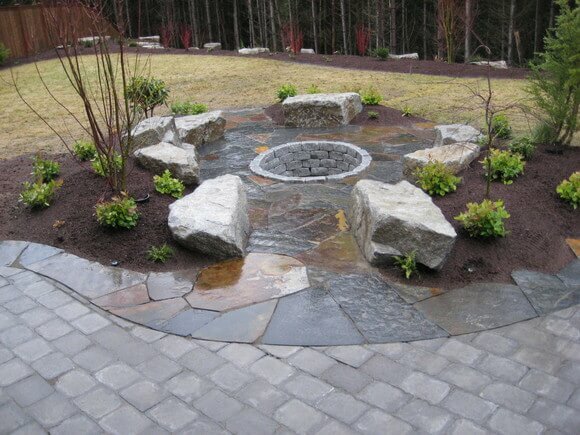 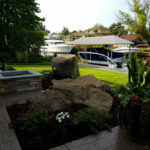 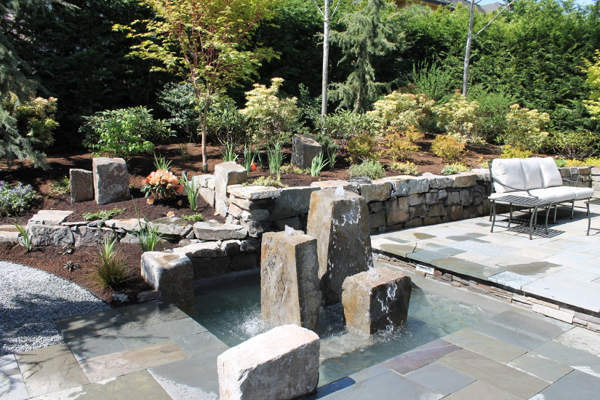 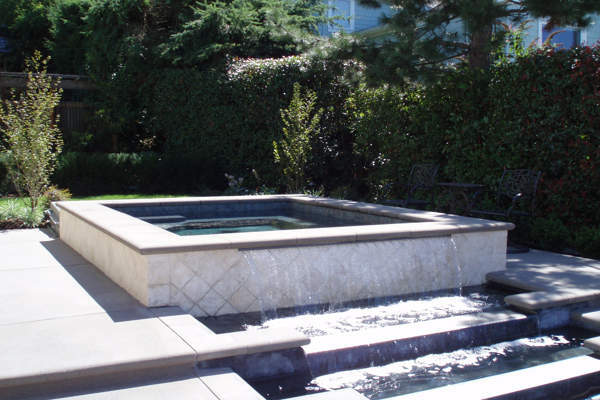 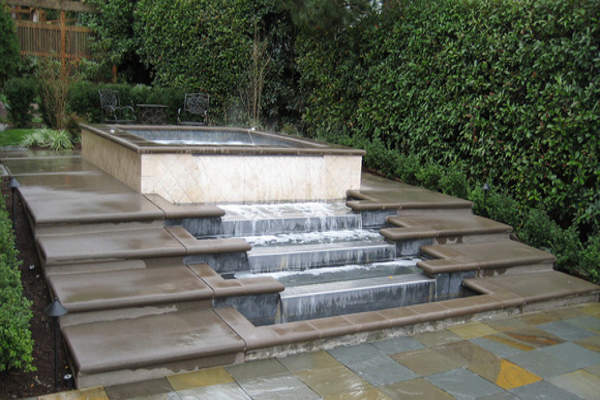 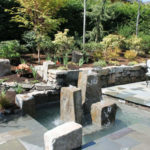 Even if you have a relatively small outdoor area, we can help you come up with a custom water feature to fit it. 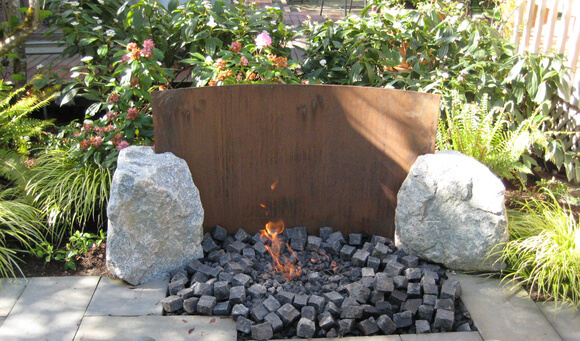 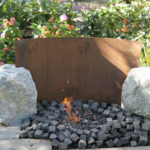 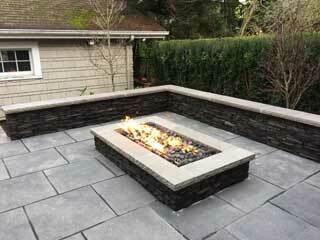 Fire pits make a dramatic addition to your patio or gathering area. 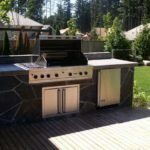 They look great, but they serve a practical purpose as well. 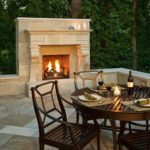 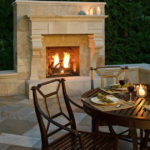 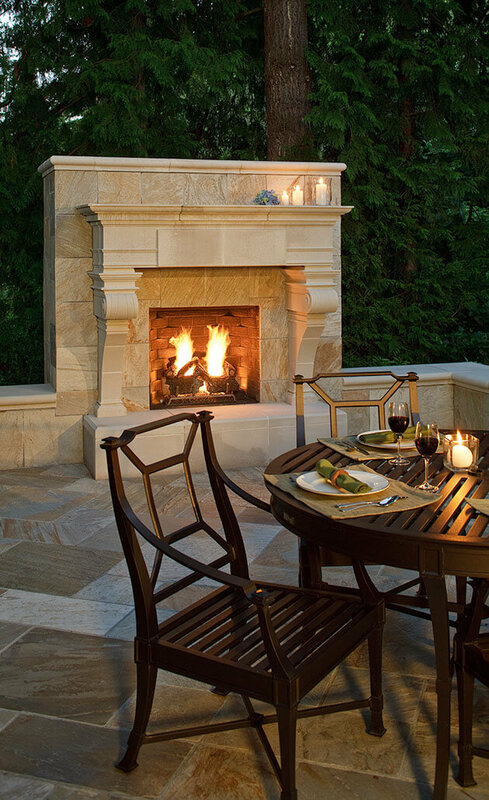 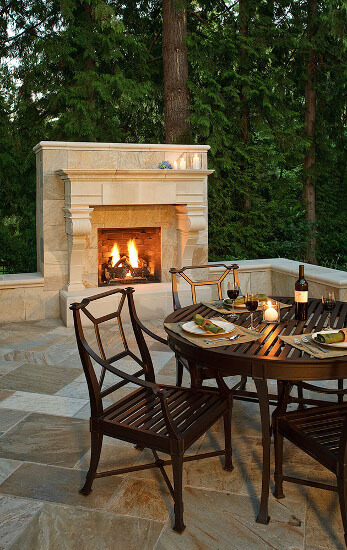 A blazing fire keeps guests on your patio warm even when the temperature drops off. 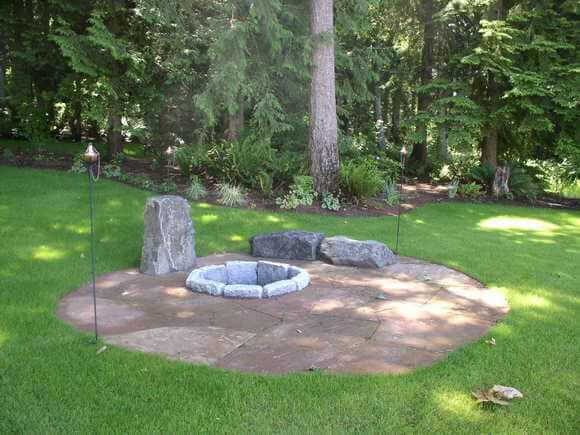 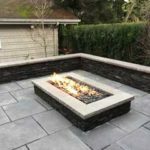 Space out several fire pits to provide heat for the entire space, or install a single fire pit with a seating area around it. 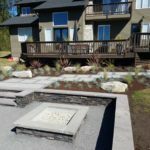 If you entertain on your patio, or if you just enjoy relaxing outdoors with your family, fire pits are essential for staying cozy and comfortable. 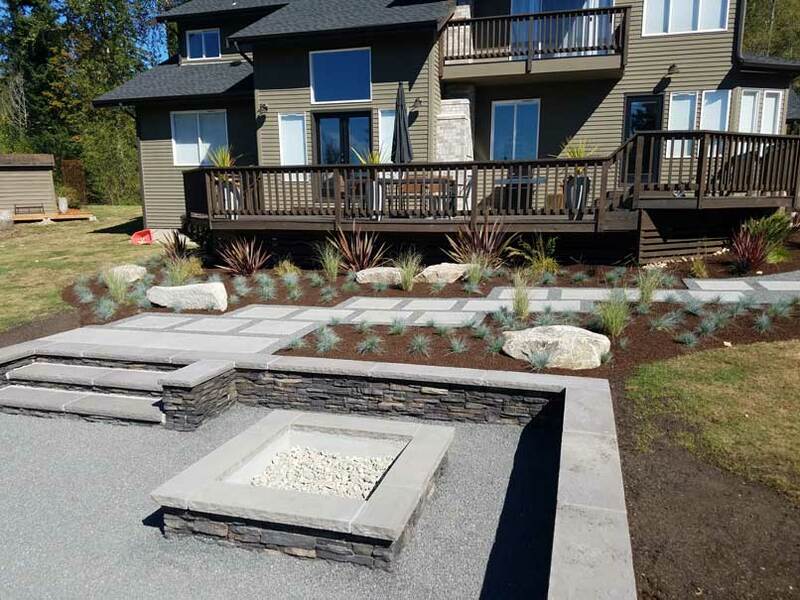 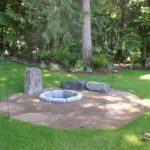 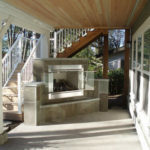 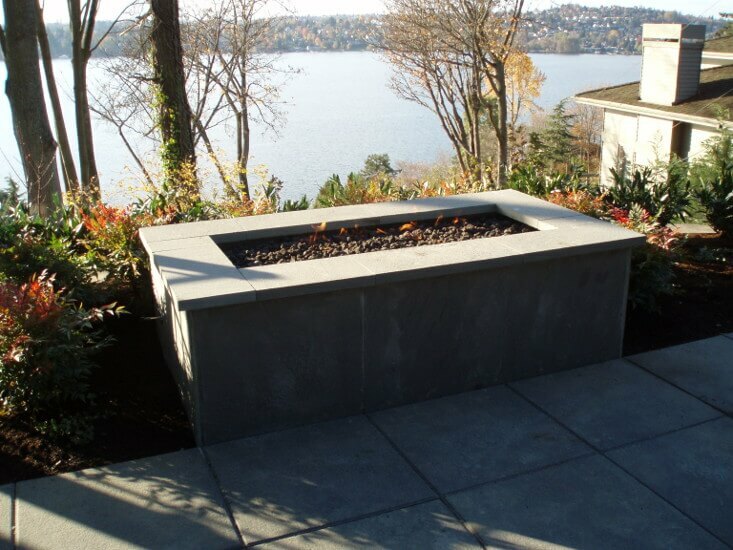 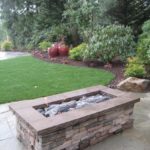 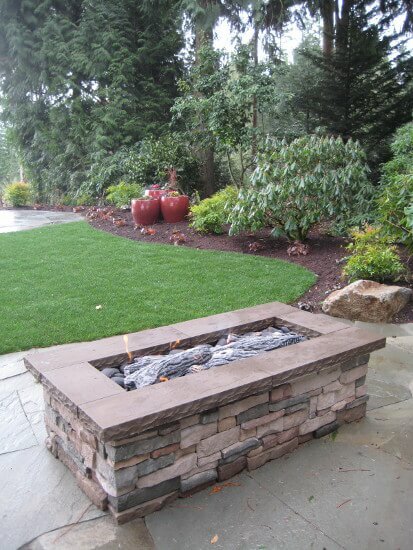 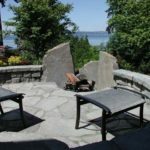 We offer both above-ground and sunken fire pits and can construct them from a variety of materials to match your patio area. 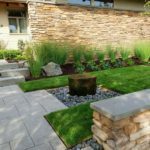 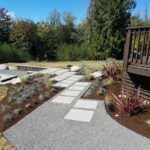 Don’t wait to get started on a custom garden design. 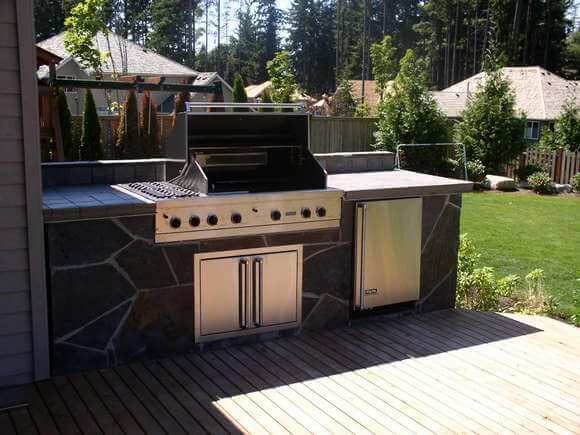 Give us a call today at (206) 899-1444 to find out more or get an estimate. 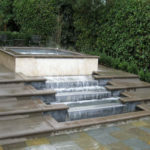 Consultations with our expert designers and free and require no obligation on your part.